Turriff and District Community Council serves the community of Turriff and its surrounding area. The council is a link between the community and organisations like Aberdeenshire Council, Police Scotland. The council can have up to 16 members, who are elected to stand for 3 years, after which they can stand for re-election. There have never been enough candidates to fill all 15 seats on the council so an election has never been necessary. Dates of meetings may be changed and other meetings may be scheduled from time to time. TDCC is a statutory consultant on all planning applications in its area. Over the years they have supported many individual planning applications and have attempted to modify those major applications which members felt could have a detrimental impact on the community. social, economic and ecological environmental issues are looked at by the Community Council. TDCC has been active in the organisation of many public meetings and consultations over the years including a campaign for a new primary school. The Community Council works with other local groups like Turriff Business Association, Turriff and District Ltd and Turriff Tourism Action Group to help to improve the town for residents and visitors alike. You can read more TDCC related content using the links below. 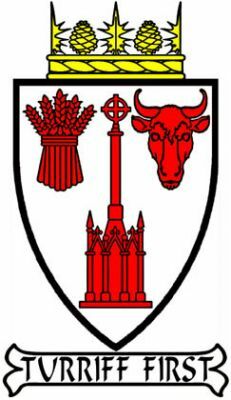 Turriff and District Community Council are also on Facebook.